"You are profiting from the death of 18-month-old Mariee Juárez and the separation and imprisonment of immigrants. Stop financing CoreCivic and GEO Group." Update: After months of pressure, JPMorgan Chase just announced it will stop financing for-profit prisons, including those run by notorious CoreCivic and GEO Group! With JPMorgan Chase's news, another huge push from the public will likely put Wells Fargo over the edge. 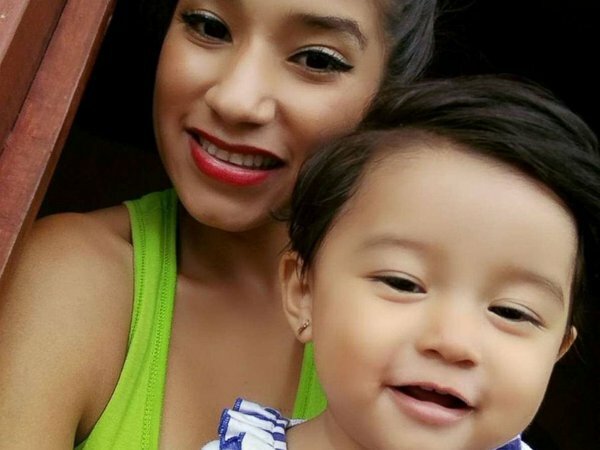 Mariee Juárez was a happy, healthy 18-month-old girl who liked to dance and sing with her mother, Yazmin. Then the Trump administration jailed Mariee and her mother in a crowded, unsafe detention center run by a for-profit prison company called CoreCivic. Mariee fell ill a week into being confined, but was denied adequate medical care. Two months later, she died in the Children's Hospital of Philadelphia of viral pneumonitis. CoreCivic is one of the two largest for-profit prison companies that has been responsible for abuse, unsanitary conditions, and several deaths of immigrants and asylum-seekers due to medical neglect. It is currently holding thousands of immigrants and their children for the Trump administration. CoreCivic is financed by Wells Fargo and JPMorgan Chase. In a few weeks, UltraViolet is joining dozens of progressive organizations to confront each company's executives at their headquarters in San Francisco and New York City. Along with hundreds of thousands of signatures, we could force them to stop profiting from the jailing and abuse of immigrants and their children. Will you sign onto the petition demanding Wells Fargo and JPMorgan Chase stop financing CoreCivic and GEO Group?